Futuremark previously announced that PCMark 7, the latest version of its complete PC performance testing suite, would be released on May 3, 2011 (tomorrow). That date has now been pushed back due to last minute findings in QA; Futuremark is now expecting PCMark 7 to be available either late this week or early next week. 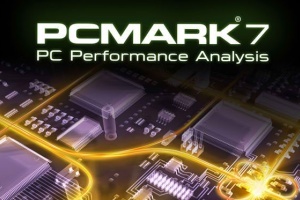 PCMark 7's seven PC tests measure different aspects of PC performance. The Lightweight test measures the capabilities of entry level systems and mobility platforms unable to run the full PCMark test. Common use performance is measured by the Entertainment, Creativity, and Productivity tests. Component performance is measured by the Computation and Storage hardware tests. The first version of PCMark was PCMark2002, released on March 12, 2002. This was then followed by PCMark04 on November 25, 2003, PCMark05 on June 28, 2005, and PCMark Vantage on October 18, 2007. PCMark2002 supported five Windows versions while subsequent releases supported two each. PCMark 7 is the first release of the suite that only supports one operating system: Windows 7. PCMark 7 Advanced and Professional Editions are already available for preorder over at pcmark.com. We will let you know when the suite is officially released. "Our benchmarks are developed in cooperation with many of the world’s leading hardware and technology manufacturing companies including AMD, Compal, Dell, Hitachi, HP, Intel, NVIDIA, Samsung, Sandisk, Seagate and Western Digital," a FutureMark spokesperson said in a statement. "These companies help us perfect our benchmarks, running each development build through their expert testing facilities to improve the performance, relevance and accuracy of the software. This testing has identified an issue that we would like to fix before release. Fortunately, it looks like a simple matter, but making any changes to the software at this point also necessitates a further round of testing with our industry partners which takes time."